The goddess that is worshipped on the sixth day of the puja is Goddess Katyayani. 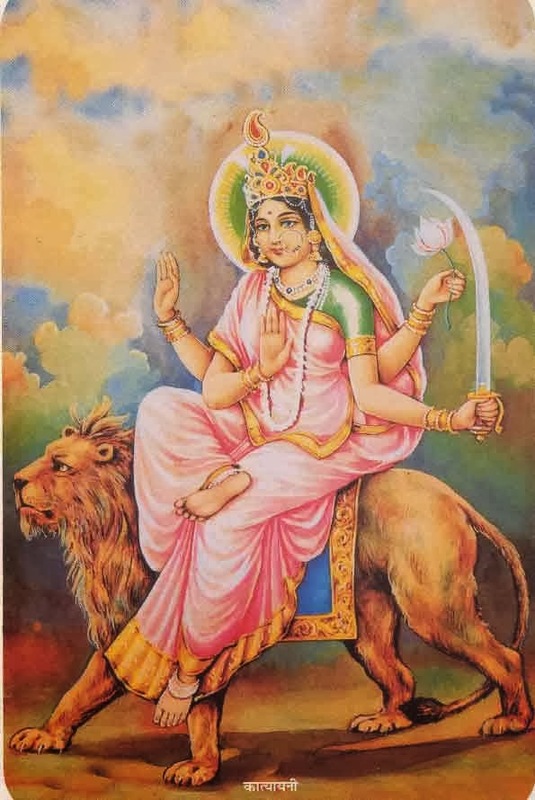 She appears mounted on a fierce looking lion and has four hands and a third eye. 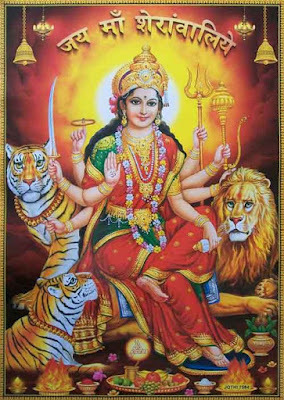 She represents the daughter form of Durga.